The Township of Teaneck New Jersey is located in Bergen County, placing it in a prime location for commuters. A river, heavily traveled roads and railroad tracks make it a hub of activity for industry. The diverse population of Teaneck is drawn here for a quality of life at a more affordable price than, for instance, can be found in Manhattan or local towns like Ridgewood, Alpine & Franklin Lakes. Homeowners rest easy knowing Certified Mold Testing can determine whether or not mold is present. Bergen County mold testing services are essential to keep Teaneck residents healthy. Like most of Bergen County Teaneck was at one time home to the Lenape American Indians. Following the Lenape, the Dutch settled and served as a stronghold during the American Revolution. Over time, Teaneck became a popular place to call home and resulted in a rapid rise in population. Today there is not much room for residential growth. Some believe that rules and regulations will change to allow for neighborhoods to have high-rise construction and denser residential areas. 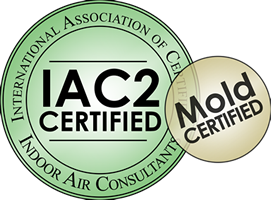 Current homeowners, regardless if traditional or condominium, utilize Bergen County mold testing services provided by Certified Mold Testing to ensure their existing homes are healthy and free from airborne mold spores. Teaneck NJ is culturally diverse and offers great access to education, culture, and recreation. Since it is home to thriving businesses, great parks, and open space, Teaneck makes a great place to live, work, and play. The Puffin Foundation, located in Teaneck, is a huge supporter of the arts, sponsoring bother theatrical productions and art exhibitions in the community. The foundation enables those who may not ordinarily have the opportunity for both exposure and participation in the arts. Teaneck is home to more than 20 municipal parks offering playgrounds, playing fields, tennis courts, and an aquatics facility. There are programs, classes, and leagues for all ages! The Teaneck community hopes to be healthy and active. A healthy lifestyle includes having healthy homes as well. Therefore, the NJ based mold testing services provided by Certified Mold Testing can certainly help to ensure that a home in Teaneck is free of mold and any health issues associated with mold. 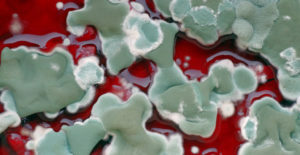 Certified Mold Testing is the go-to company for Mold Testing Teaneck NJ. Contact our team today to schedule a test of your home. Keeping your family healthy is essential. The detection of mold is the first step in getting rid of it. Our team is knowledgeable and experienced in mold detection throughout Bergen County and the entire state of New Jersey. And do not hesitate to read our piece, Mold Testing and Mold Remediation, Potential Conflict of Interest for a better understanding on the subject.